The Airocide air purifier is revolutionary in that it utilizes technology created and used by NASA. 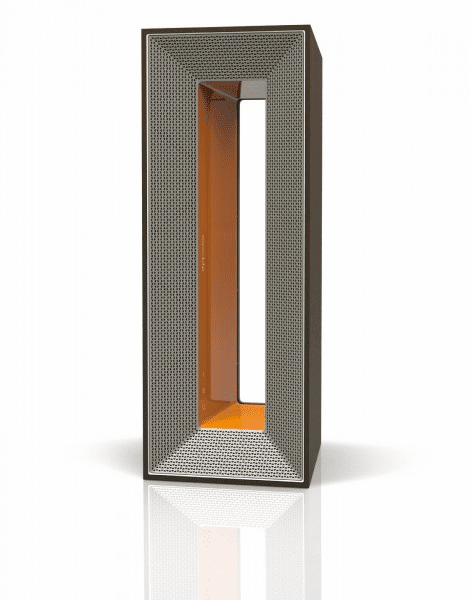 An award winning air purifier that is versatile in its applications, the Airocide is guaranteed to rid the air in your home of airborne allergens, pet dander, mold and harmful Volatile Organic Compounds (VOC’s). Easy to operate, the Airocide air cleaner will complement any home/office décor with its dramatic appearance. And Airocide is virtually maintenance free thanks to its filterless design. Airocide is built to work in any sized room and will stand up to protecting your home 24/7. Try an Airocide air cleaner in your home for at least 6 weeks. If you are not 100% satisfied, simply contact A.M.I. Services to return the unit for a full refund. Money will be refunded once the unit is deemed functional, undamaged and unaltered. Consumers have up to 60 days from the date of purchase to return the unit. Akida Holdings LLC (hereinafter referred to as the “Company”) is pleased to offer the first End User Purchaser (“Consumer”) of an Airocide® Air Purification System a 60-month Limited Warranty, starting from the date of purchase and subject to the following Terms & Conditions. 1. The Limited Warranty covers defects in materials or workmanship in the unit for the time period stated above. If there is a defect, and the defect is the result of faulty materials and/or workmanship, the Company or its authorized Franchisee, Dealer, Distributor, or designated agent (collectively referred to as “Authorized Representative”) will, at its discretion, either repair or replace the defective components or the unit. If a defect cannot be repaired within a reasonable number of attempts, the Consumer may elect to either have the unit replaced or obtain a refund of the purchase price. 2. If the unit is found not to have a defect in material or workmanship, the Consumer, if it so desires, may make arrangements to have the unit repaired by the Company. Charges for repairs of this nature, if carried out, shall be paid by the Consumer. 3. In order to repair the Airocide unit and restore it to a fully operational condition, the Company may alter the unit and utilize parts of a differing, but similar, design. Any part of the unit that is replaced may be replaced with either new or refurbished parts. Any part that is replaced will become the property of the Company. 4. While the Company will make every effort to expeditiously provide warranty service, the Company shall not be required to do so within a specific period of time. 5. The repair or replacement of the unit or parts under this Warranty shall not extend the warranty beyond the time period stated above. 6. The Company’s employees or dealers have no authority to vary the terms of this Warranty. 7. Continued use or possession of the goods after expiration of the warranty period shall be conclusive evidence that the warranty was fulfilled to the full satisfaction of the Consumer. Try the new Airocide filterless air cleaner today!